Cornelius has been in the barn the past several nights. He is like a post man. He has his appointed rounds and lets nothing stop him from them. Well yesterday i removed one hen that was picking on the little oneS. Last night when I put then to bed I left that hen in with Murphy, she was sleeping in one of the nest box all nice and cozy. I shut the lights off and went to go upstairs to feed Sadie and there was so much screeching in the hen-house. Her friend was letting me know someone was missing. This went on the whole time I was feeding the sheep. So I went downstairs and got the other one out of the nest box (she really didn’t want to leave) put her in the with her friend. Everything settled down when she saw her friend. But this morning she was picking on them again so she is back in with Murphy. When the little ones are a little bigger it will work out. I have been cutting out small turkey’s for small wall hangings. 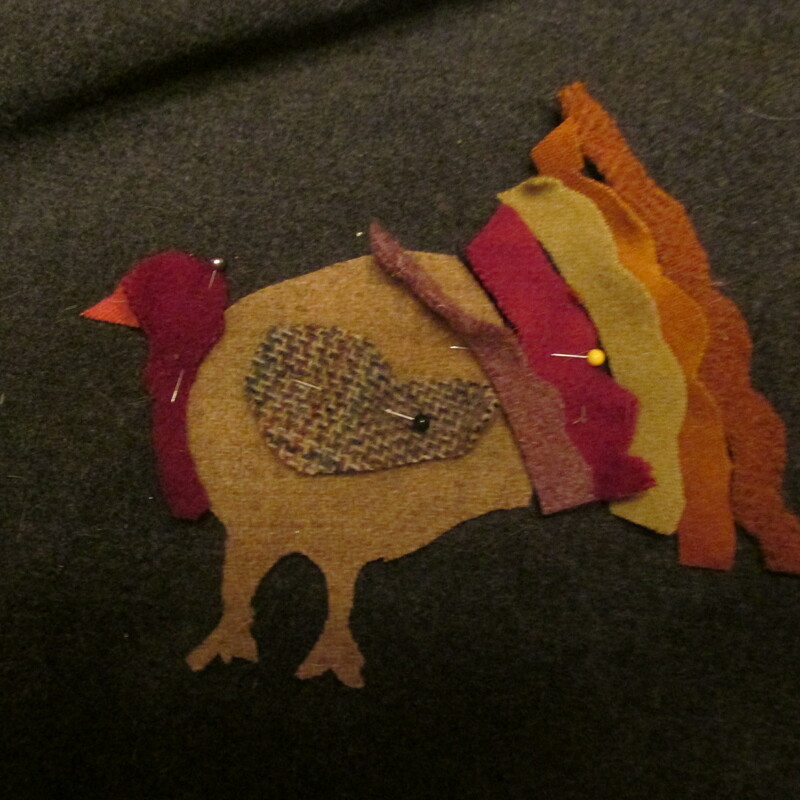 I cut out the 5 turkey’s today and will assemble them on pieces of wool tomorrow. Then they will be ready to hand sew. 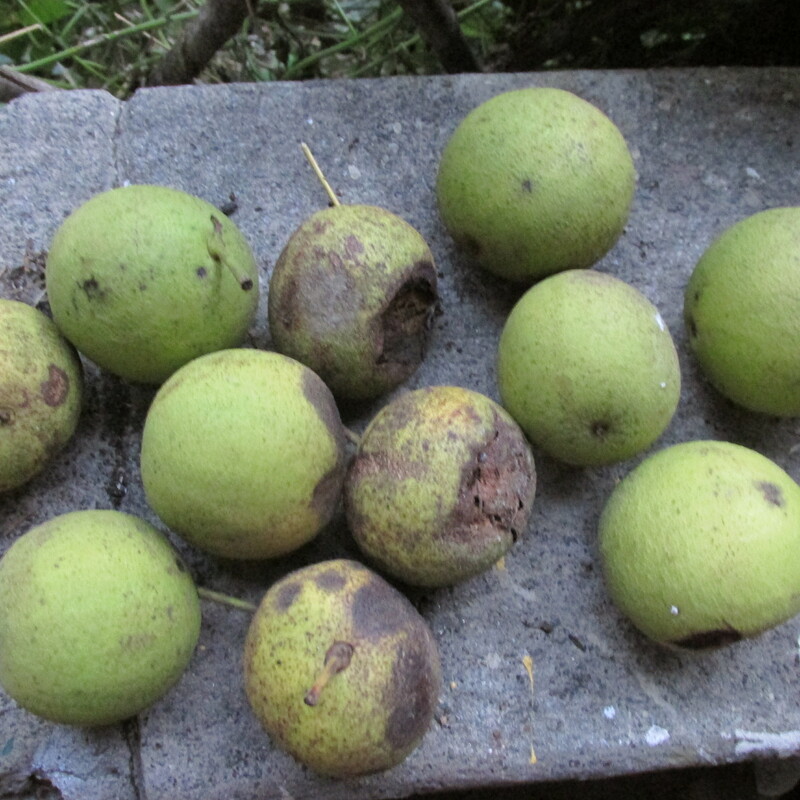 Gary walked every morning and found these black walnuts along the road side. Tomorrow I plan to put them in the dye pot and make some black walnut dye. 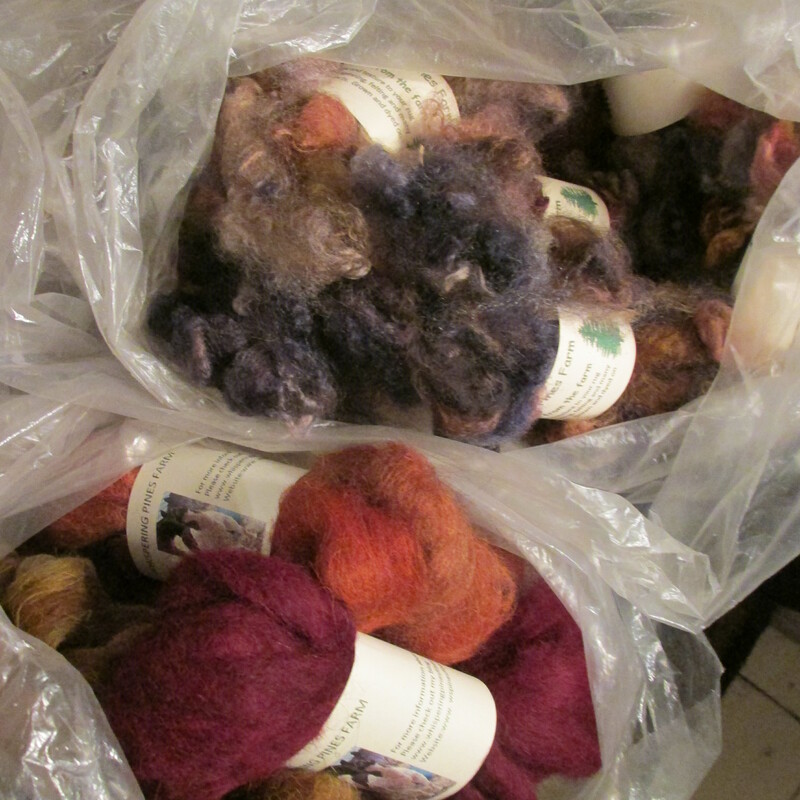 I have loads of wool fabric to dye and this dye will fit in with the fall colors that i have on hand.. 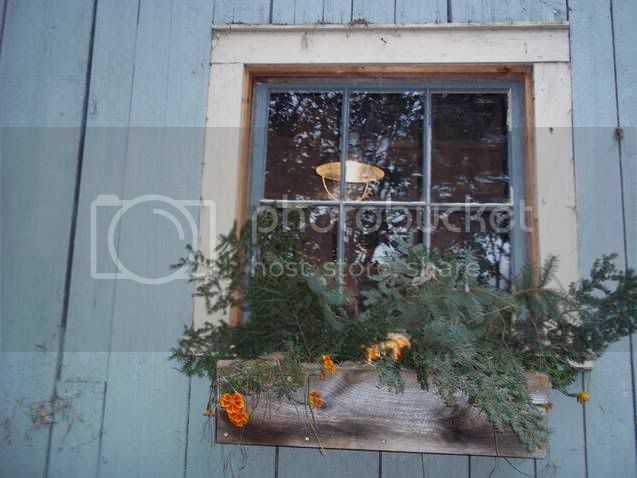 I potted up the rest of the house plants, although the weather is suppose to be beautiful through Monday you just never know when a frost is coming and its good to get the plants in before it gets too cold.